Del Oswald from Skegness, Lincolnshire has trained with the BCKA for over seven years and became the youngest student in the BCKA to achieve his black belt at the age of eight. Anyone who has taken the black belt grade can appreciate the dedication and approach to training required to pass this gruelling technical grade which makes Del’s achievement all the more remarkable for someone of his age. Del is a talented young man who stood out in class early on. 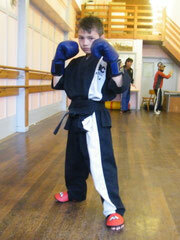 He likes to spar in semi and light contact and is well supported by parents Mick and Lyn. It is fantastic to see students of Del’s age succeeding and achieving in this sport when so many of his age drift in and out of training, it just shows the amount of effort and commitment needed for young people to keep training and reach higher grades and that it can be done. Since taking his black belt Del has continued training with the BCKA and is now due to take his second degree black belt. 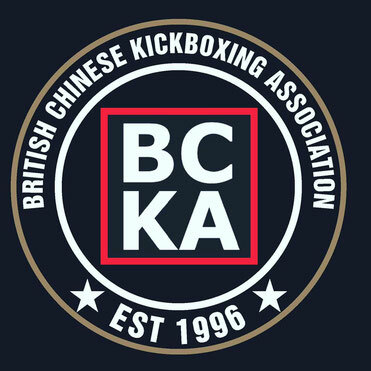 All at the BCKA wish him all the best for the future and would love to see him pass his grading in June.